The central bank\'s attempts to arrest the rupee\'s fall, strengthening of the dollar and a rise in global crude oil prices dipped India\'s foreign exchange (Forex) reserves by $3.43 billion to $351.92 billion in the week ended August 28. The central bank's attempts to arrest the rupee's fall, strengthening of the dollar and a rise in global crude oil prices dipped India's foreign exchange (Forex) reserves by $3.43 billion to $351.92 billion in the week ended August 28. The reserves had gained by $920.6 million to $355.35 billion in the previous week ended August 21. 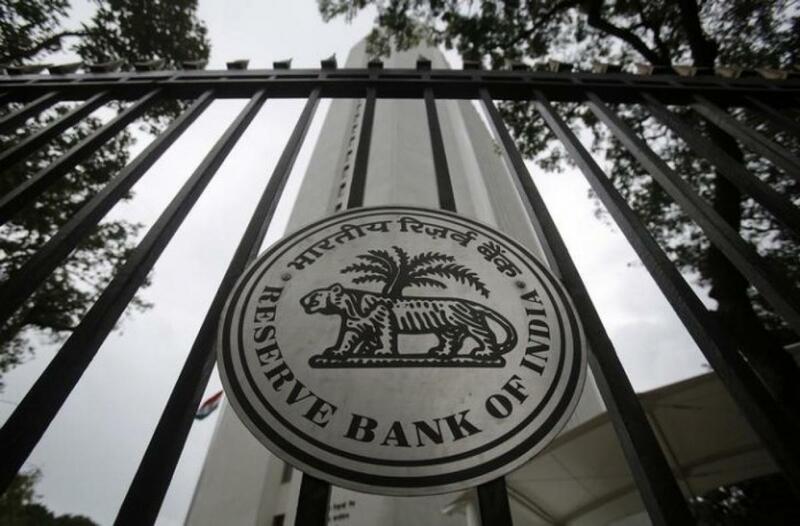 "The Reserve Bank of India (RBI) is trying to defend the rupee's fall. It has been very aggressive and active in the spot trading markets in selling dollars to defend the rupee," Hiren Sharma, senior vice president, currency advisory at Anand Rathi Financial Services, told IANS. "The RBI has been trying to defend rupee on almost all the levels that it has surpassed. It has tried it on the 66.05 levels and 66.45. This explains the massive outflow in the reserves." Anindya Banerjee, associate vice president for currency derivatives with Kotak Securities elaborated to IANS, that the reserves were also depleted on account of strengthening in dollar value against major currencies. "The dollar appreciated by 1.8-2 percent against the major non-dollar currencies in the week under review. This has had a negative impact on the reserves," Banerjee said. The Indian reserves consists of nearly 20-25 percent of the non-dollar currencies. The individual movements of these currencies against the dollar impacts the overall reserve value. "The dollar is strengthening on the back of expectation of a rate hike and subsequent bearish sentiments coming out of China and Europe," Banerjee cited. Furthermore, the data furnished by the RBI in its weekly statistical supplement showed that the foreign currency assets (FCAs) receded by $3.42 billion to $328.30 billion. "The FCA expressed in US dollar terms, include the effect of appreciation or depreciation of non-US currencies such as the pound sterling, euro and yen held in reserve," the RBI was quoted in its statistical supplement. The FCA constitutes the largest component of Forex reserves. It consists of non-dollar currencies, securities and bonds bought abroad. During the week under review, the country's gold reserves were stagnant at $18.25 billion. The reserves had plunged by $824.2 million in the week ended July 31. The plunge in bullion reserve value that time had come after the international prices steadily declined, as a result of the dollar gaining strength. The trend was soon reversed and the bullion value increased with the rise in gold prices from the sub-$1,080 an ounce (August 6) to the current $1,120 level. The special drawing rights (SDRs) in the period under review were lower by $7.1 million at $4.06 billion. The country's reserve position with the International Monetary Fund (IMF) slipped by $2.3 million to $1.29 billion. Other trigger for Forex's weakening was a rise in demand from the oil marketing companies (OMCs), even as crude oil prices rose. "The steep rise of around $10 per barrel is a cause of worry. Especially given the fact that the rupee is falling," Anand James, co-head, technical research, Geojit BNP Paribas, told IANS. On Friday, the West Texas Intermediate (WTI) closed at $46.05 a barrel, while Brent crude settled at $49.61 a barrel. Both the indices were around $40-42 per barrel merely a few weeks back. India is also seeing a major funds outflow due to the global economic uncertainty and heightened chances of the US Fed to raise interest rates after a decade or so of easy monetary regime with interest rates pegged at near zero levels.